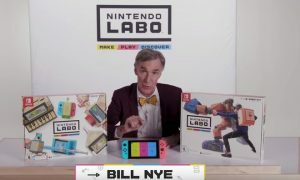 Nintendo Labo launches later this month and Nintendo is gearing up its advertising campaign. 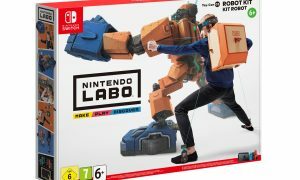 The latest trailer/commercial shows the basic concept behind Labo, how it interacts with the Switch console, and some of the things you can do with the… cardboard. Nintendo Labo launches on April 20 and will retail for $69 for the starter pack, also known as the Variety Kit. You can pre-order it on Amazon here. Check out the full “Make, Play, & Discover” video below. Will you be getting Nintendo Labo? Let us know why or why not in the comments section below!